Marvel’s newest movie, Captain Marvel, recently hit theaters with a bang. Opening weekend brought in $455 million worldwide and is projected to make $1 billion dollars within the next few weeks, a record high for the Marvel industry. The movie has already outpaced other Marvel classics such as Captain America: The Winter Soldier, Doctor Strange, and Ant-Man and the Wasp. It currently ranks as the 13th most successful Marvel movie and will most likely surpass several movies within these next months. Captain Marvel is the franchise’s first female-lead film, adding yet another groundbreaking achievement in diversity for the Marvel universe. 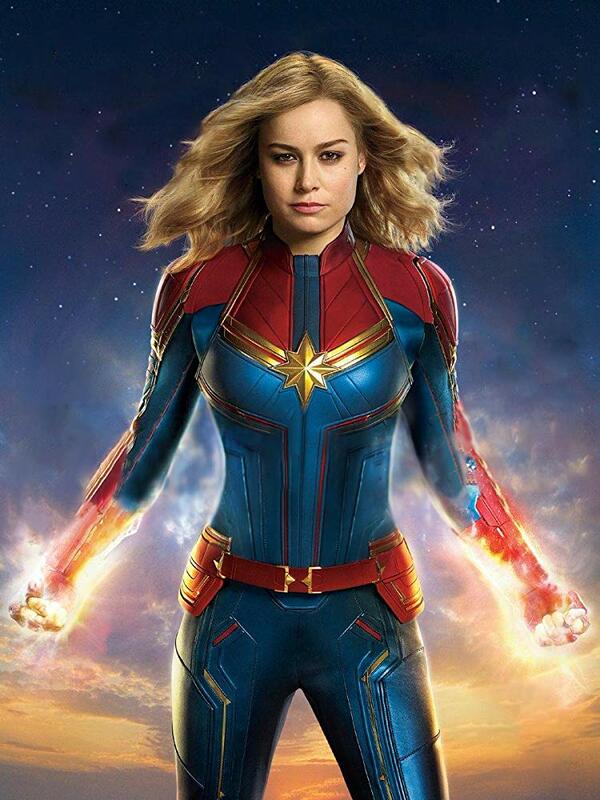 The film follows the life of Carol Danvers, an alien warrior who possesses powers from an unknown source. Crashed on Earth and hunted by villians, Danvers begins to remember a life here on earth that she didn’t know she had. After meeting Agent Nick Fury, Danvers discovers she was once a female Air Force pilot who worked with a genius engineer on an elusive project. Like most films in the Marvel universe, the plot of Captain Marvel connects with the overall storyline of the Marvel Cinematic Universe. However, this movie is crucial to the upcoming film, Marvel’s Endgame, and may very well provide the key to defeating Thanos once and for all. It is necessary to see Captain Marvel in order to understand the events which will occur in the final installment of the series, airing in theaters on April 26th. Not only is Captain Marvel the key to the future, but it also provides the long-awaited background to the entire Marvel universe. The origin of Marvel’s S.H.I.E.L.D. program along with the real reason Nick Fury lost his eye is revealed.Beloved characters such as Agent Coulson also make an appearance. Nick Fury’s role in Captain Marvel was greater than expected, and he was given more screen-time than any other character besides Captain Marvel herself. Fury provides the level of humor needed to balance out the intense scenes of the film, allowing for a good mixture of emotional and humorous scenes in the film. The female-lead, Carol Danvers, played by Brie Larson, is dynamic, strong, and a perfect balance between independent and loyal. She creates deep bonds with several characters while still remaining her own person who can make her own decisions, sometimes even going against the orders of a commander. Acting as a role model for women everywhere, Captain Marvel tackles the real-life disadvantages given to women in positions of power. Without allowing politics to overtake the story, the movie highlights some of the setbacks women in military positions face. Their inability to fly with the men ultimately causes a catastrophic event that sets the plot in motion. There were several scenes of the film that were reminiscent of iconic Star Wars battles, and as such, the originality of the story was somewhat diminished.. Since half of the film takes place in space, this was bound to occur; however, the extent to which certain characters and plot devices mirror the Star Wars series is concerning. Regardless of whether or not the movie was entertaining, it is necessary to see it in order to understand the upcoming events of Endgame. The final scene after the credits roll left the entire audience speechless. Overall, Captain Marvel is a stimulating film with a powerful, realistic woman and much-anticipated details of the Marvel universe.